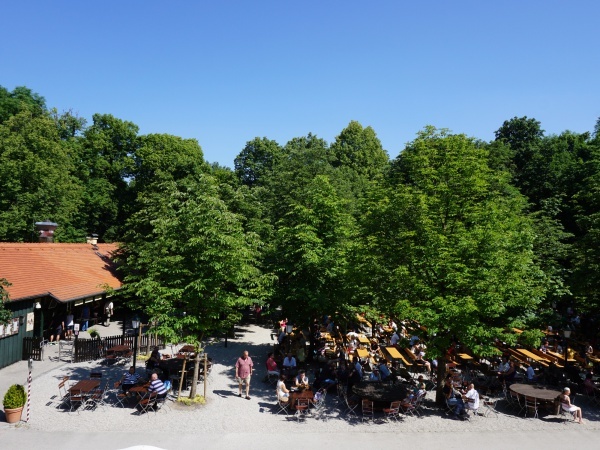 The Aumeister Beer Garden is located at the northern edge of the Englischer Garten. 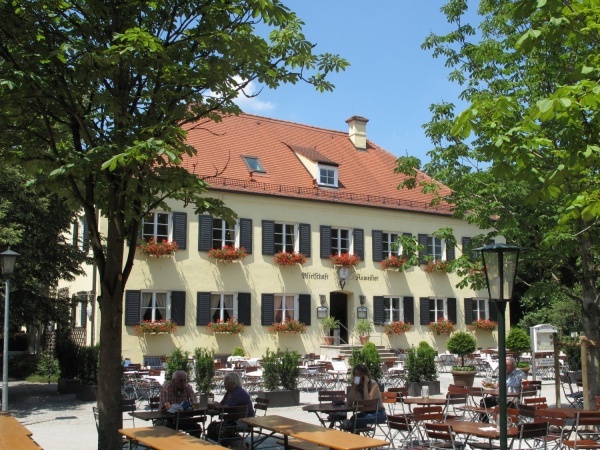 The beer garden is an ideal resting point for visitors of the park and hikers and bikers along the Isar. Built in 1810/11, the Aumeister was the administrative office of the royal hunter of this area. In the beginning the Aumeister provided food and beverages for hunting participants and travelers. In 1914 the Aumeister was taken over by a restaurant leaseholder and functions since then only as a restaurant and beer garden open to the public. 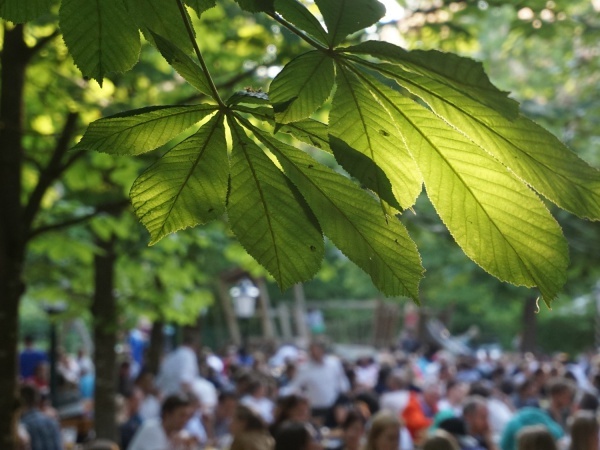 The beer garden has 3,000 seats shaded by large chestnut trees in the non-serviced area. The food stalls offer high quality Bavarian and Mediterranean meals and snacks as well as Steckerlfisch (grilled fish on a stick). Beer lovers enjoy the seasonal beers, such as Starkbier in March, Maibock in May, Sommerbier during the summer and Wiesnbier around the time of the Oktoberfest. A Hofbräu costs €8.00 p/Maß (May 2016). On sunny Sundays, a magician entertains kids and families. The bands Cagey Strings and Candlelight Killers perform live regularly on Thursday evenings. The only minus of this otherwise idyllic beer garden is the close by highway. Throughout the summer months, the beer garden is open daily from 10am to 11pm. The rest of the year weather depending.